Good Morning! 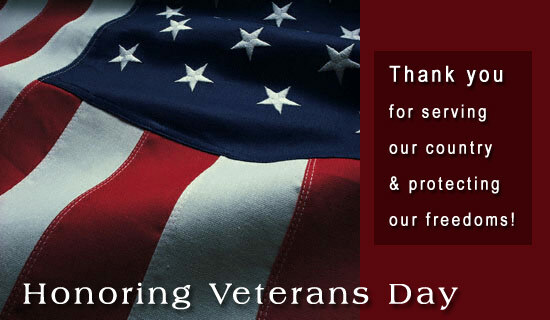 Today, here in the United States, we are celebrating Veteran’s Day. A special day of remembrance to honor and thank all the Men and Women who proudly protect and serve our country. I would also like to extend those wishes to Veteran’s from each and every country – all over the world. Thank you for serving your Country and protecting us all from harm. You are all Heroes and I greatly admire you service and support! Thank YOU! 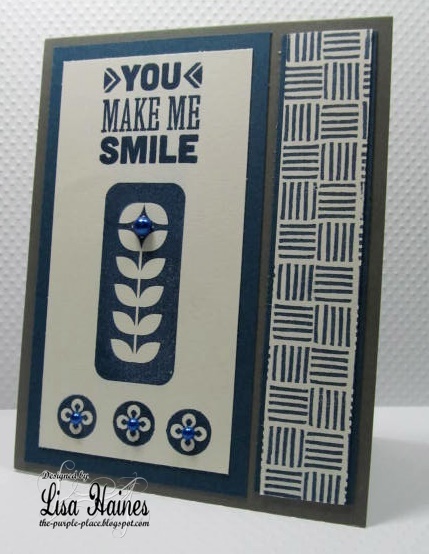 I have two new cards to share today and both of these were created using a this wonderful “Hero Arts/Basic Grey” stamp set, called “You Make Me Smile”. You’ll find this set along with several of the other products I used for these cards, over at the a2z Scrapbooking Store! NOTE: I am also including an “Inlinkz” product list at the bottom on the post to link you to all these supplies! I really enjoyed working with this set and now have all kinds of new ideas to use it for more cards. I love the set name and think having that sentiment as part of this set, makes it one that is very versatile and perfect for every day cards. Great for friendship cards, encouragement cards and those cards that are meant to brighten someone’s day! For my first card, I started with some cream cardstock, three stamps from this set and my “Navy” Hero Arts shadow Ink. I pre-arranged the stamps the way I wanted them to line up on my craft mat, and then used my “Fiskars Stamp Press” to easily stamp all three at the same time, keeping them arranged as they were on my mat. One I had those done, I simple re-inked the same circle/flower design and repeated that image twice to complete the design. I trimmed down this panel and adhered it onto some of PTI’s “Navy” cardstock. I created a second thinner banner using Hero’s Five Line Background Stamp, an “oldie but goodie” from my stash. I trimmed that to be the same height as my first panel and again layered it onto more Navy cardstock. Both panels where then adhered to a “Charcoal” notecard and embellished with some Hero Arts Pearls. It easy a fun, yet easy card to create and could be done in a variety of colors! That brings us to my next card, also created with the same stamp set, which I think is the perfect set for “every day” cards. I started this time with some of Hero’s Snow layering paper, and stamped on this sweet little floral image, again using Navy Shadow Ink. 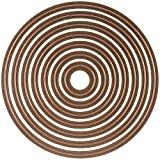 I then used a set of Nestie Circles to cut out that image, and also a second circle, one size larger, in Navy. I adhered that image to the Navy base, which was later added to my “Stitched Banner” which I created with a favorite Lawn Fawn die set. The banner was then added to some “Navy & White” Polka Dotted cardstock that I adhered to my Charcoal card base. I cut two thin strips of Navy Cardstock and added those to the sides of the banner, to frame it in. 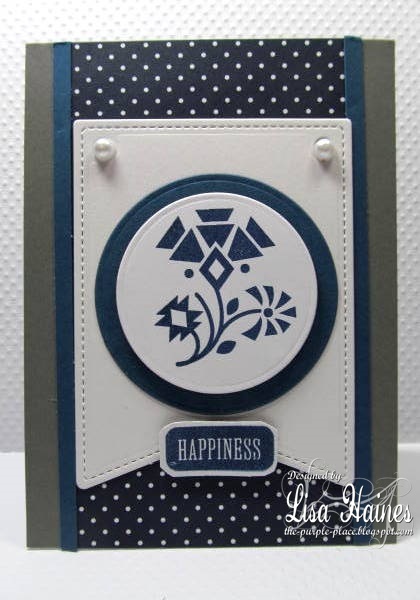 I finished this card by added two white pearls and the “Happiness” sentiment, also stamped in Navy! This one turned out to be my favorite of the two, what do you think? I hope I have inspired you to try this stamp set or some of the other wonderful Hero Arts products we sell over at the a2z Scrapbooking Store. I also want to encourage you to enter our “November Challenge”, which is an “Easy” one, as the theme is “Anything Goes“!! Just be certain, that your project contains at least one main Hero Art product, as always. One lucky winner will be drawn from all the eligible entries and will receive a $25 Gift Certificate for your shopping pleasure at the a2z Store. If you would like to do some shopping now and save a little money, please feel free to enter my DT Promo Code — LISAH15 — to your cart during the checkout process. All you have to do is spend $25 or more, (prior to shipping), and enter the code, which will take 15% off your entire order! And the best part is that it’s available to use more than once and is valid for ANY product in store! WOOHOO! Happy Shopping! Categories: Challenges, Friendship Cards | Tags: Hello Cards, Hero Arts, Lisa Haines, stamping, ThePurplePlace | Permalink. love the colors you used for these graphic cards–so striking!